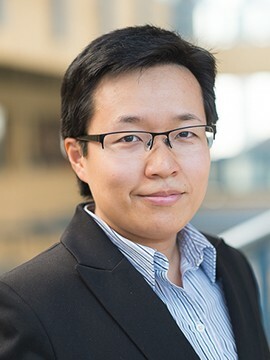 Dr. Jiaying Zhao is an Assistant Professor in the Department of Psychology and the Institute for Resources, Environment and Sustainability at UBC and the Canada Research Chair (t2) in Behavioural Sustainability. Dr. Zhao is also a member of Canada's Financial Literacy Research Sub-Committee for 2018-2020. Dr. Zhao's research aims to use psychological principles to design behavioral solutions to address sustainability challenges. Specifically, she examines how resource scarcity impacts human cognition and behaviour and what interventions are effective at alleviating cognitive burdens in the poor; how to reduce water and energy consumption, encourage recycling and composting behaviour, promote responsible car-sharing behaviour, and engage the public on biodiversity conservation; and what cognitive biases people have regarding climate change. Visit lab website for a complete list of publications.